We’ve all had that piece of jewelry that we’ve grown so attached to, it’s almost grown attached to us! Whether it’s your wedding ring, a piece that your loved one gave to you, or a class ring you’ve held dear to you since 1968, these things sometimes become so much an ‘extension’ of ourselves that it’s easy to forget that they do need to be taken off every once in a while-and cleaned thoroughly! Have a jewelry question or need your jewelry cleaned? Copeland Jewelers is your trusted jewelry store in Austin, Texas! Call us today! Why is it important to have jewelry cleaned? Your jewelry store in Austin, Texas (that’s us!) is here with a few choice tips and how to care for your jewelry and why it is important to keep your jewelry clean. It’s recommended that you do a cleaning of your jewelry at least once per week with a jewelry cleaning solution. There are many solutions you can buy (or make at home!) that include a mild detergent that will “scrub away” particles from your jewelry while it soaks. You can even do this overnight while you’re asleep and wake up to clean, fresh jewelry in the morning! These weekly cleanings can keep jewelry from becoming worn out and keep diamonds from taking on a darker color. 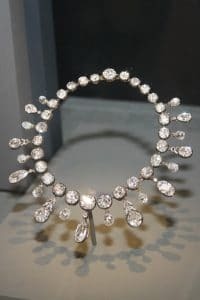 As a jewelry store in Austin Texas, we’ve seen many people come through with diamonds and other jewelry that are in definite need of a deep cleaning. Even jewelry enthusiasts that take meticulous care of their jewelry have to call in the professionals every once in a while-and your friendly Austin jewelry store is here to help! We offer a deep cleaning jewelry service that can be performed while you wait. We keep all of our jewelry cleaning equipment on-site so that you never have to send your jewelry off to a faraway location to have it deep cleaned. You can just stop by our jewelry store in Austin (located in the Davenport Village area) and talk to one of our employees about a jewelry cleaning-no appointment needed! Keeping your jewelry clean not only enhances your enjoyment of wearing the jewelry, but keeps your jewelry looking new, fresh, and extends the life of your most prized pieces. Stop by our shop or give us a call today and let us know how we can help you keep your jewelry clean! It’s not just diamonds that need a good deep cleaning! All of your pieces can benefit from having a thorough, deep cleaning at your local jewelry store in Austin. Give us a call and let us know what your jewelry cleaning needs are. Copeland Jewelers is a jewelry store in Austin, Texas that has been in operation since 1983. If you are looking for an Austin, Texas jewelry store to help you create the custom piece of your dreams, or if you’re looking for a jewelry expert to appraise your collection, you’ve come to the right place. We are proud to be YOUR jewelry store in Austin, Texas!